Are you a licensed contractor in Florida? Yes, Jeff Macik is a State Certified Building Contractor #1255114. All State Contractors can be verified through Florida Department of Business & Professional Regulation. Macik Builders services most of Brevard County, Florida. Those areas include, Merritt Island, Cocoa Beach, Cape Canaveral, Titusville, Port St. John, Cocoa, Rockledge, Viera, Melbourne, and Satellite Beach. What projects do you commonly work on? We are total home contractors, but our most popular projects are Kitchen and Bathroom Remodels, Additions, and general Home Improvements. My parents are getting older, but don't want to leave their home. Can it be fixed to accommodate their infirmities? Yes, most any home can be retro-fitted to better accommodate personal needs. We have run out of room but can't afford to move. Can you help? 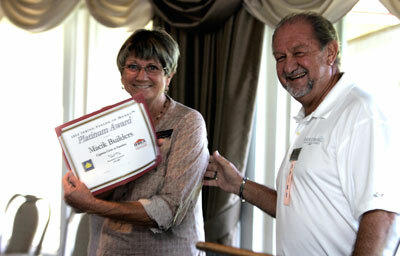 Yes, Macik Builders would come out and review your current home, plans and set-back requirements. We will also evaluate your needs and suggest areas that are best suited to make your additions, with possibly adding a second story. Macik Builders can also prepare your plans for the home additions, offering suggestion for the most cost effective ideas and design. Does every remodeling job need a permit? No, if structural changes are not taking place or if no plumbing, electric or air condition is not being modified, then no permit would be needed. What is the difference between a Professional Remodeler and a Builder who does remodeling? A Professional Remodelers primary function is to remodel. They are better equipped to handle the contract writing and all the different facets that comes with remodeling. A Professional Builders primary business is new construction with remodeling being secondary. Rarely, please contact us to confirm. Will you provide references upon request? Yes. We can provide references from past customers. We accept MasterCard, Visa, personal checks, cashier checks or wire transfers. What questions should I ask a remodeler? Will you give me your work history? What will the process be? What should I expect? How long will it take? Will we need to move out? How will my home be protected from the trades going in and out?